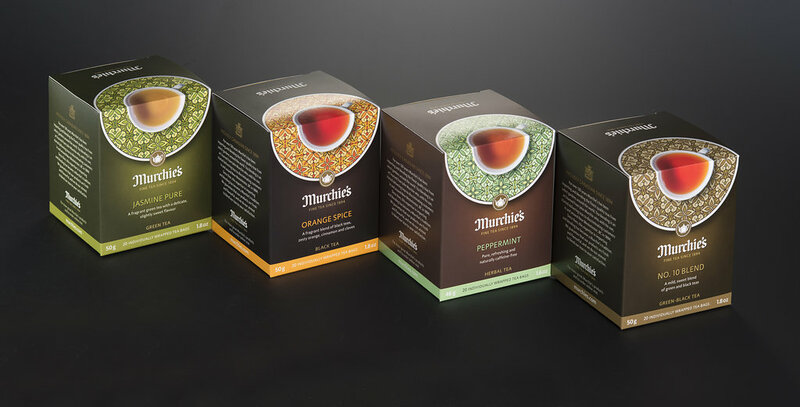 Murchie’s tasked shortcreative with designing a new line up of tea packaging aimed at both the retail and tea service markets. 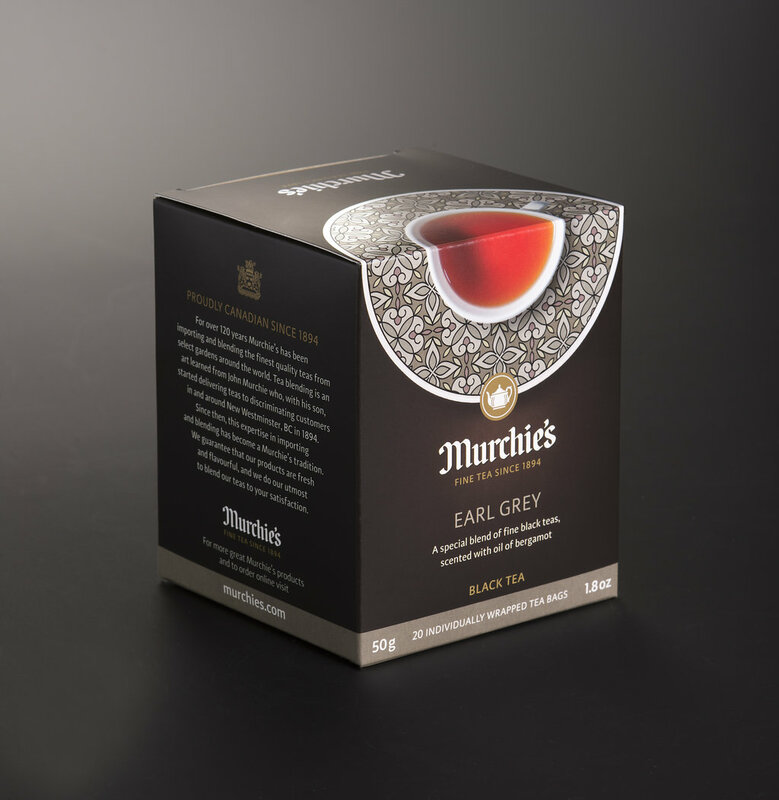 Unlike the existing boxes packaged with unwrapped tea bags in quantities of 10, 50, and 100, this new 20s box would feature individually wrapped, string-tied tea bags, allowing them to be used as single-serve tea bags in restaurants. 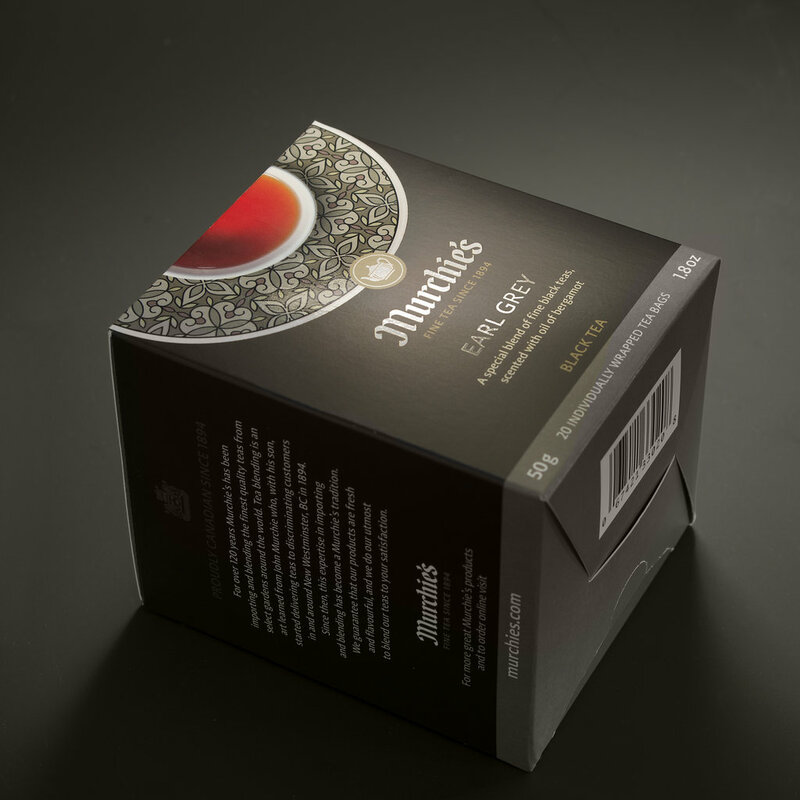 We worked closely with Glenmore Printing to create a dieline that fit the tea bags perfectly and dispensed them easily. 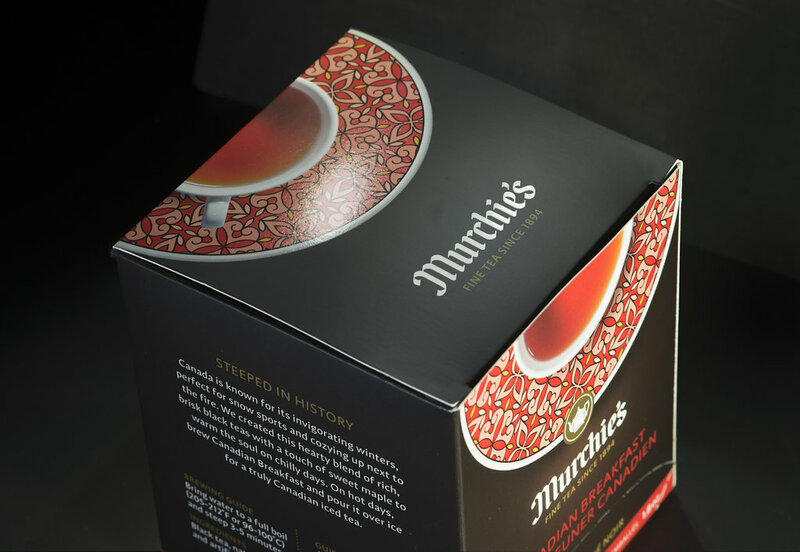 Our mandate was to come up with a design which was a “cousin” to the our current designs. 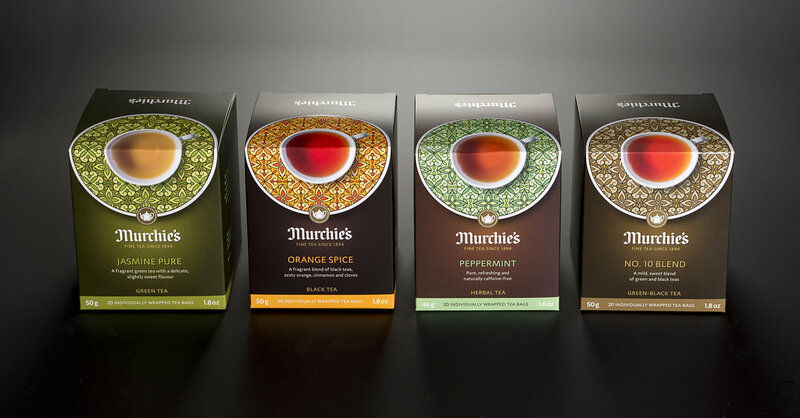 We met that challenge by incorporating the pattern we were currently using on their tea boxes and tins, in a unique way. 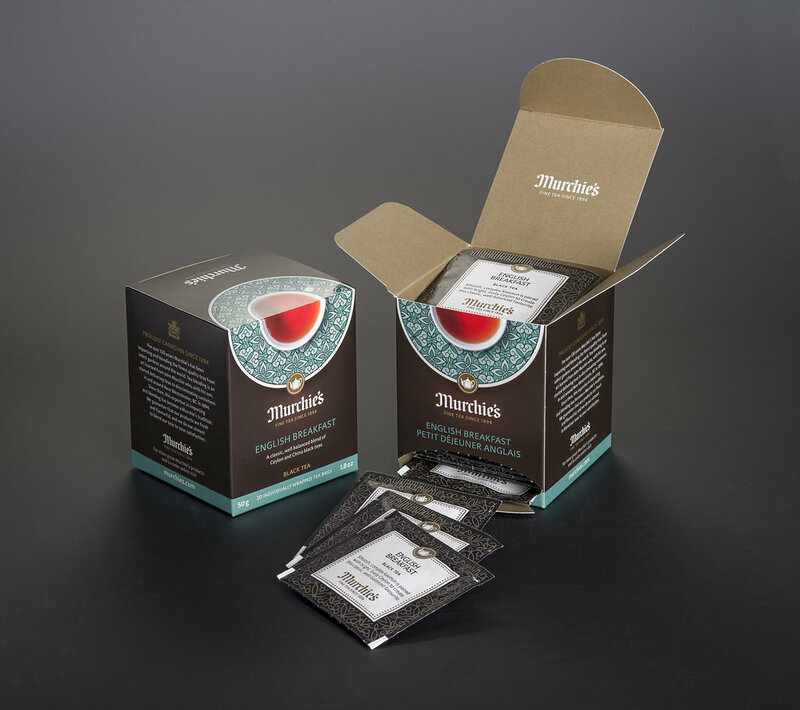 Coloured “saucers” which reflect the label colours on the current boxes provide a splash of colour, while the background colour of the box is designed to reflect the type of tea in that box, whether it was green tea, black tea, or one of their unique green-black blends. 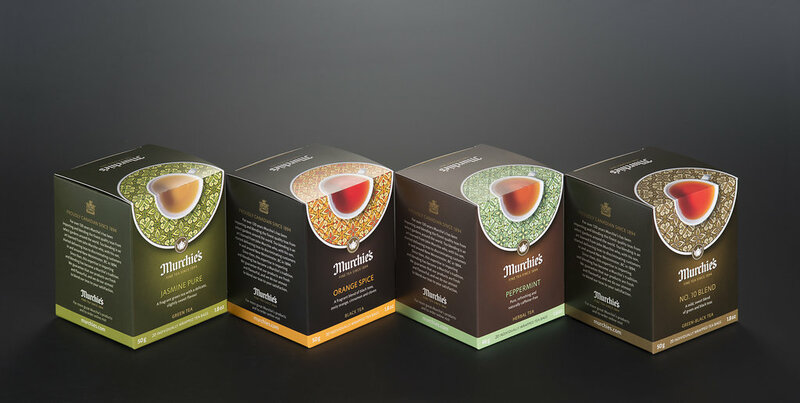 We took it one step further to ensure that the colour of each specific variety of brewed tea was represented fairly. 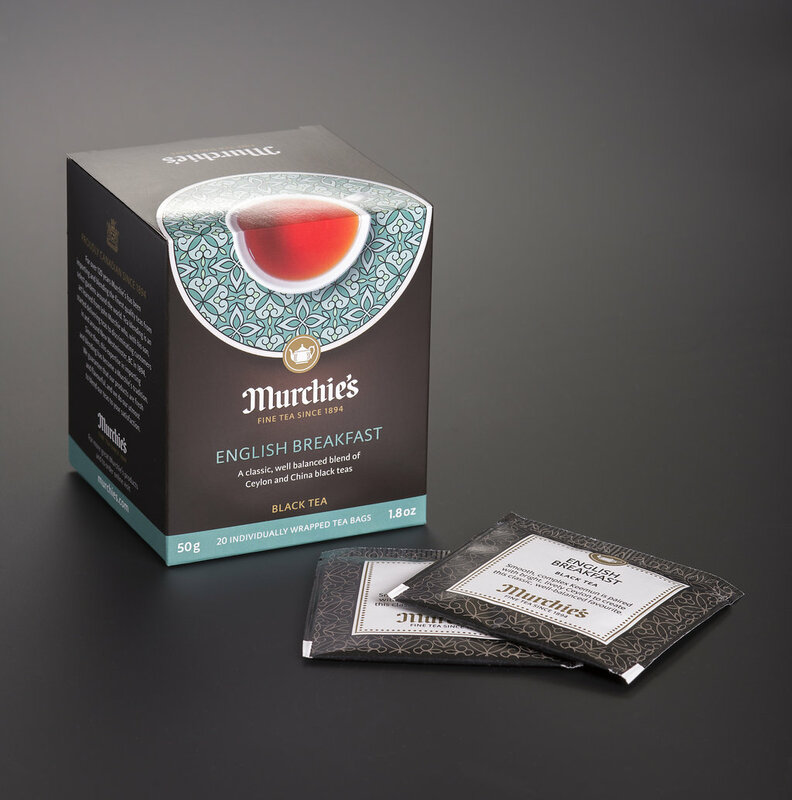 Spot gloss was used as an accent to “pop” the tea cup and saucer off the matte background. 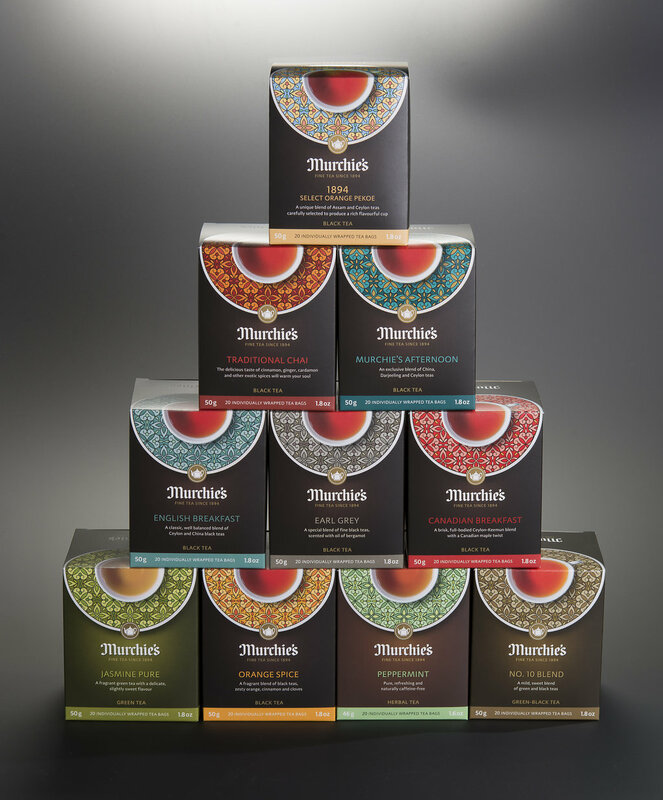 This package line up has been well received.